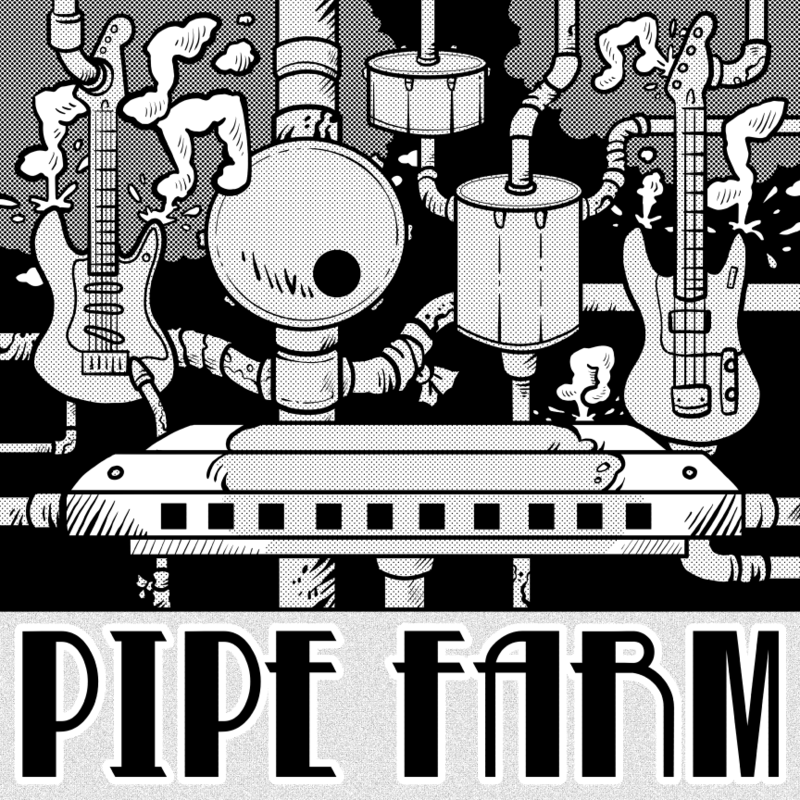 My old friend Hal Stern just formed a new band named “Pipe Farm” and commissioned me to produce artwork for their T-shirts (two versions in fact: one color, one black and white). 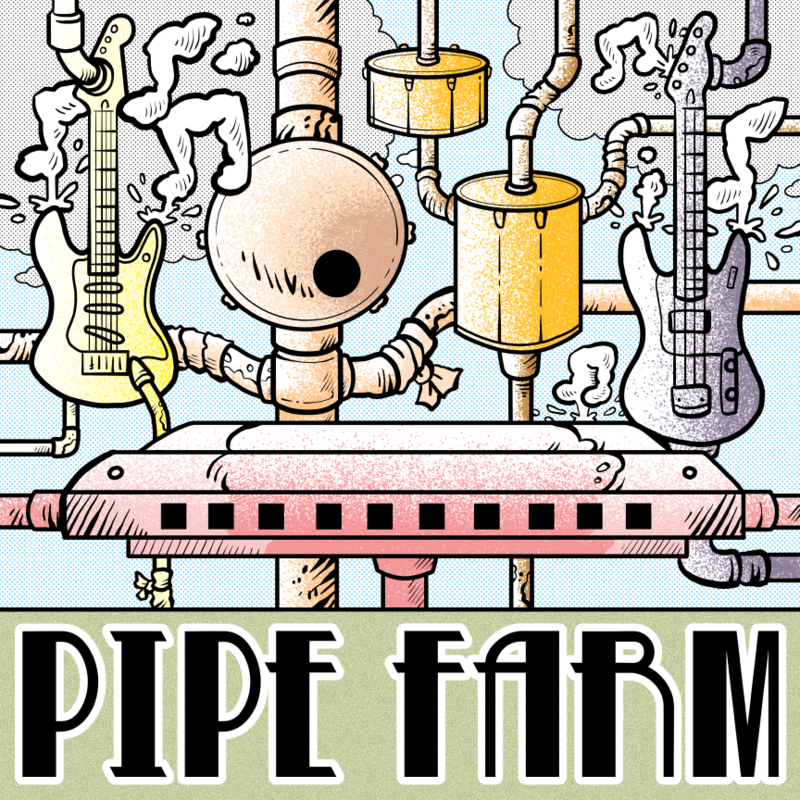 Just finished it and they already got it up on Redbubble. Lookin’ good guys! Thanks for hiring me!